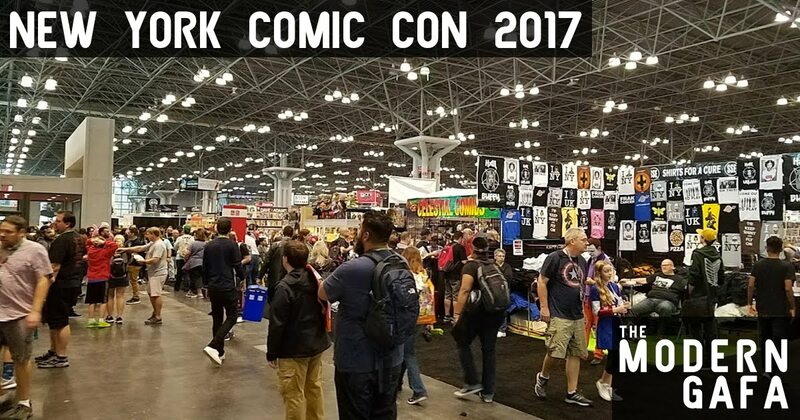 This past weekend I headed up to New York City for my first ever New York Comic Con! It was so exciting and there was so much going on I knew right away I wasn't going to be able to see everything at all. Check out the whole thing with a vlog after the jump! Thursday was all about Power Rangers for me. I met the Ninja Steel cast and then attended the BOOM! Studios panel where they revealed that they're going to have a male Pink Ranger!!! Friday I was only at the con for a total of two hours, but picked up half a dozen free books! Saturday was the super fun Avatar panel. In-between all of this was a bunch of walking around, talking to cool people, walking around, buying comics, and walking around. It's a week later and my feet still hurt. Check out the vlog below! Where you at NYCC? What did you think of all the cool news that dropped? Didja see the Pacific Rim trailer? How 'bout that Steven Universe clip? Let me know in the comments below!